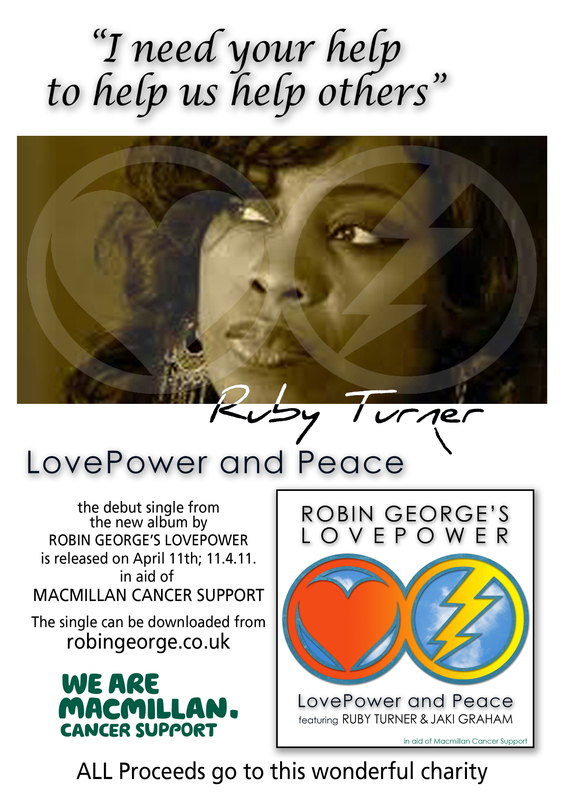 LovePower and Peace, the debut single from the new album by Robin George’s LovePower, is released on April 11th; 11.4.11 in aid of Macmillan Cancer Support. It features Ruby Turner, Jaki Graham and The LovePower Band. The entire proceeds from the single, dedicated to Macmillan Cancer Support, will go directly to this charity to aid their fantastic work and to celebrate their centenary. This entry was posted on March 24, 2011 at 10:27 pm and is filed under AOR, Classic rock, Fundraising, Melodic rock, News. You can follow any responses to this entry through the RSS 2.0 feed. You can leave a response, or trackback from your own site.